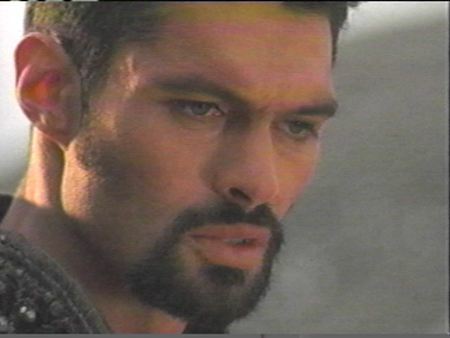 Kevin Smith as Ares in "Seeds of Faith"
Kevin Smith in "Seeds of Faith"
The much heralded 100th episode of Xena Warrior Princess. I decided to try something new and made the images a bit bigger than I normally do. I also didn't do the slow button to capture and I think the images came out much nicer. I hope you enjoy! This is merely a fansite and does not intend to infringe on rights held by Xena Warrior Princess, the series' production company, and associated parties. I merely wish to showcase the wonderful talent of Kevin Smith.